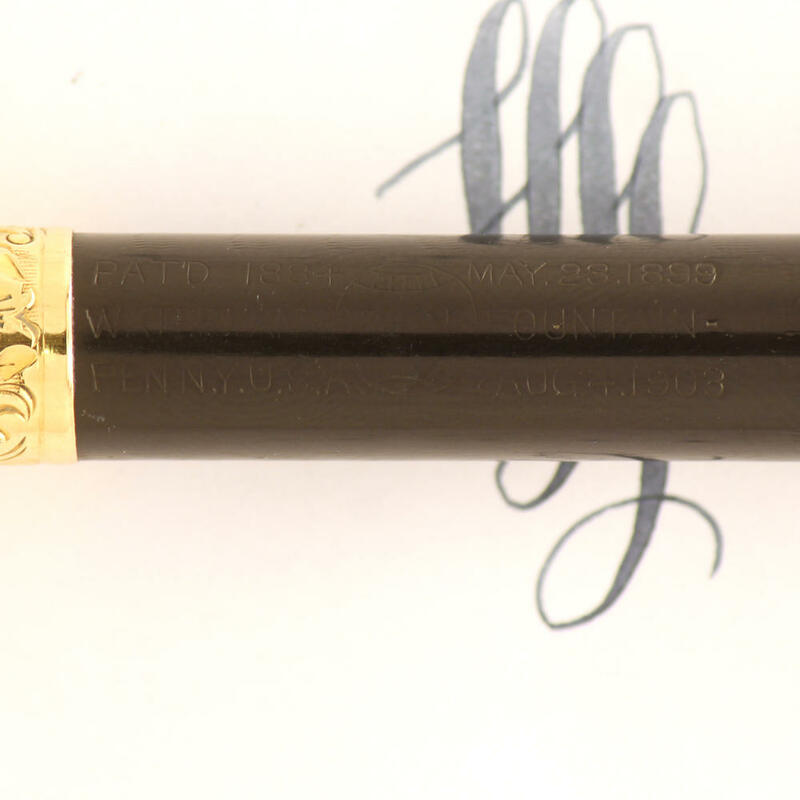 This pen was among the first large estate lot that I purchased on eBay. 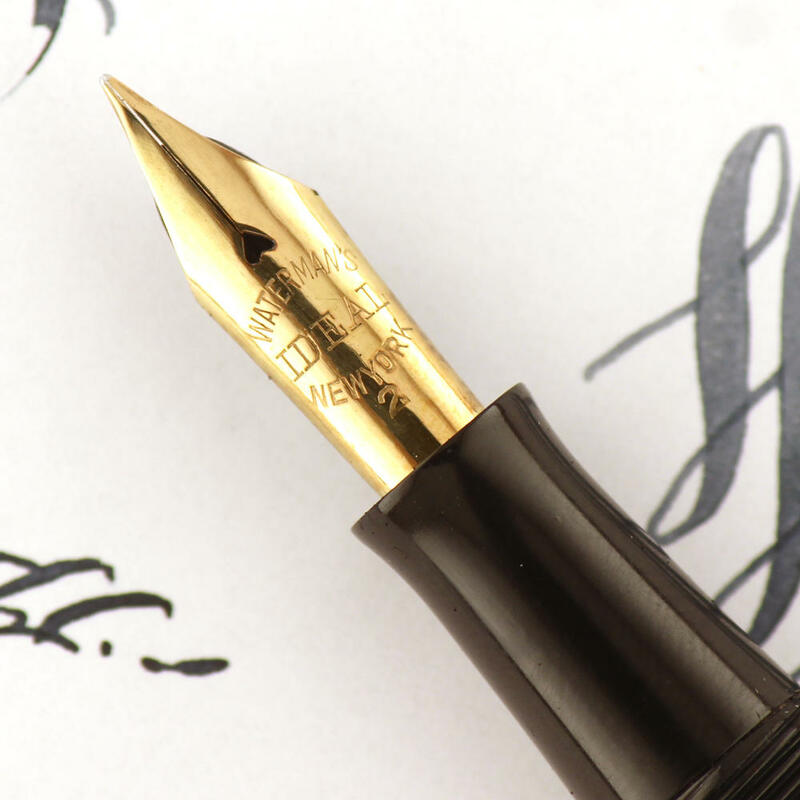 Waterman Ideal fountain pens from the first couple decades of the twentieth century often come with wonderful flex nibs like the one on this pen. The lot had four Waterman Ideal pens (two 52’s, a 12 sleeve filler, and a 15 eye dropper), but all but one were without a cap. Restoring this particular pen, apart from trying to find a cap with a clip which I decided not to do, is a simple matter of polishing and replacing the ink sac. Polishing is a bit of a judgement call on it since it had a chase pattern on the body but it was also pretty badly discolored in spots. The discoloration of the cap was much worse than the pen body so I decided to polish it until the colors and chase pattern wear matched each other. 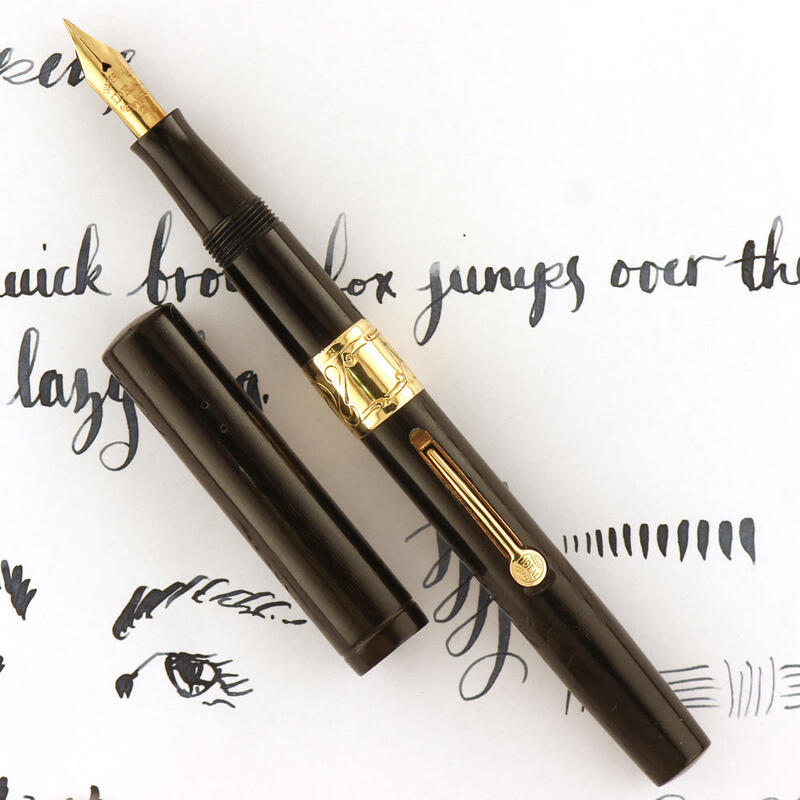 So what I ended up with was a pen that won’t be the crown jewel of someone’s Waterman collection, but it is a decent looking pen that is a great introduction into the world of vintage flex pens.